Another stunning, and awesome 4Th of July template. This project comes with rotating 3D American flag frames, Old Glory, flourishes, frames transformation, awesome 3D Statue of Liberty, American Eagle, particles, and spectacular flares. This is perfect to show off your 4Th of July memories with friends and family with style! On this project, you can insert up to 6 Photos/Video, and 9 text titles.Only Effects Mix are included, but Music u0026amp; Photos are ( NOT INCLUDED ) For preview only. This stunning 4Th of july template is a one of the kind. 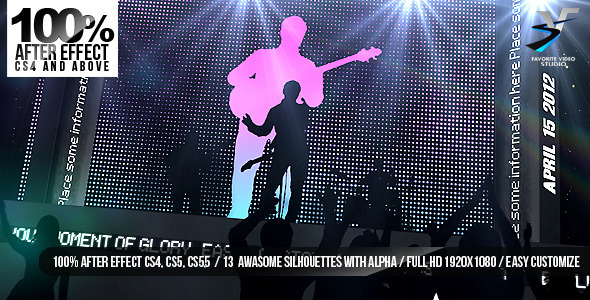 This template comes with rotating metal frames, spectacular particles, and flares. Now you can show off your 4Th Of July photo memories with friends and family with style! I have used Particular, Knoll Light, and Starglow plug ins, but you donu0027t have to own them since I have pre render all the plug ins for you this way you all set to go. Comparable with CS4, CS5, CS6,and CC. 1929x1080 Music and Photos are ( NOT INCLUDED ) for preview.